So January may be a little dull and dreary for some after all the Christmas and New Years fun is out the way. 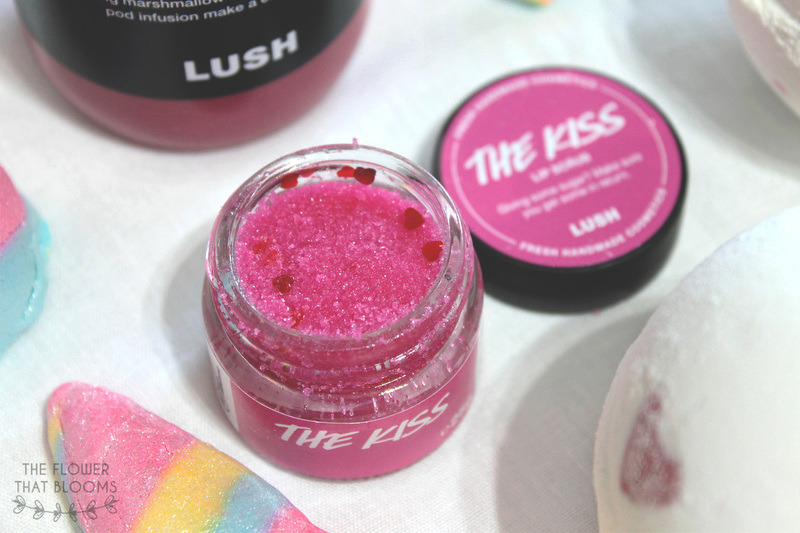 However, if you’re a lover of Lush this month is great as the Valentine’s range comes out! We were so excited to find out that the range was launching on the 8th, that we headed out as soon as we could to our local Lush! Now the range is quite small which is a little disappointing, however the items are so beautiful which makes up for it. 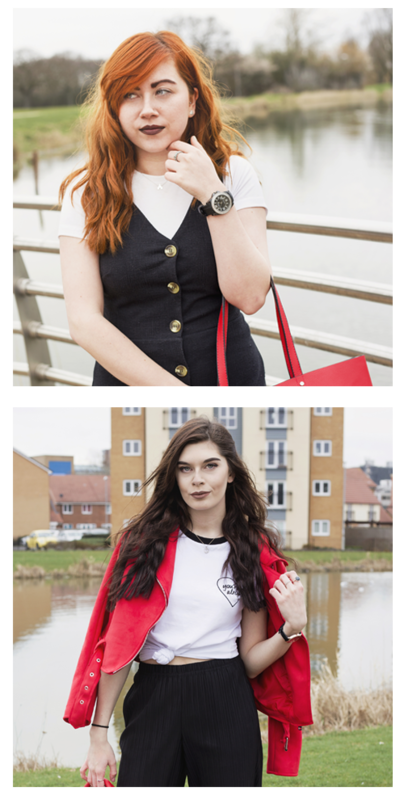 Of course we picked up some other bits too, so we thought it was the perfect opportunity to show you what we got! One item that EVERYONE goes on about is Unicorn Horn and you only have to look at it to understand why! Just look at how pretty and colourful this bubble bar is! Believe it or not, this is our first time trying this bubble bar and admittedly we were a little shocked about the scent. 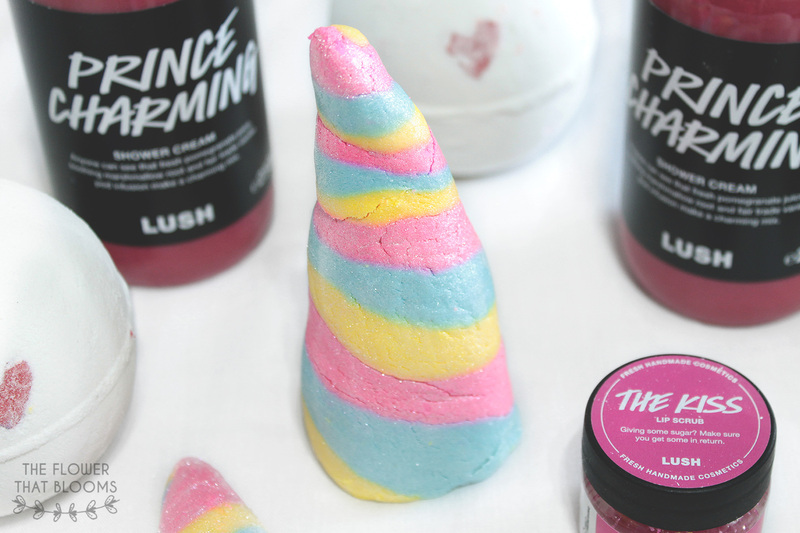 Until now we always thought that Unicorn Horn would smell really sweet, although it actually has a strong and soothing lavender scent. We can’t wait to use this in the bath or shower (if you don’t know what we mean by shower this will help!) before bed to help us sleep after a long day! It seems like it would make a really beautiful calming bath. 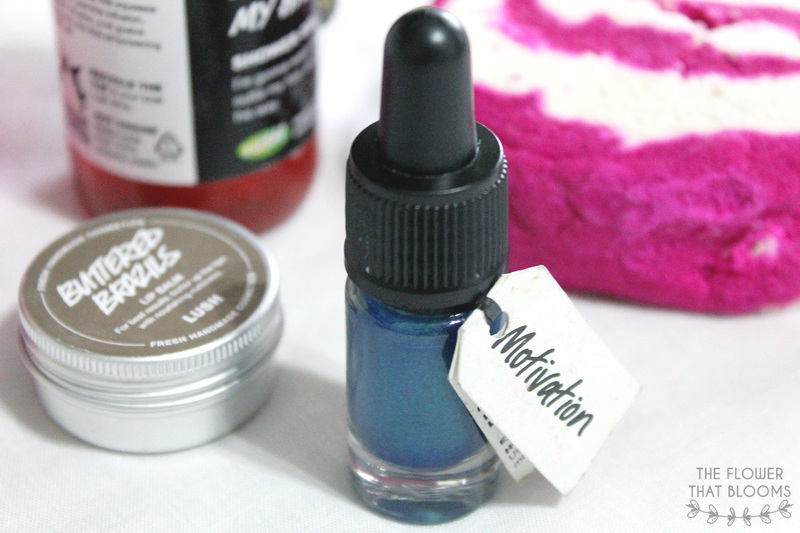 We have always been a fan of the lip scrub range in Lush, so of course this came home with us. 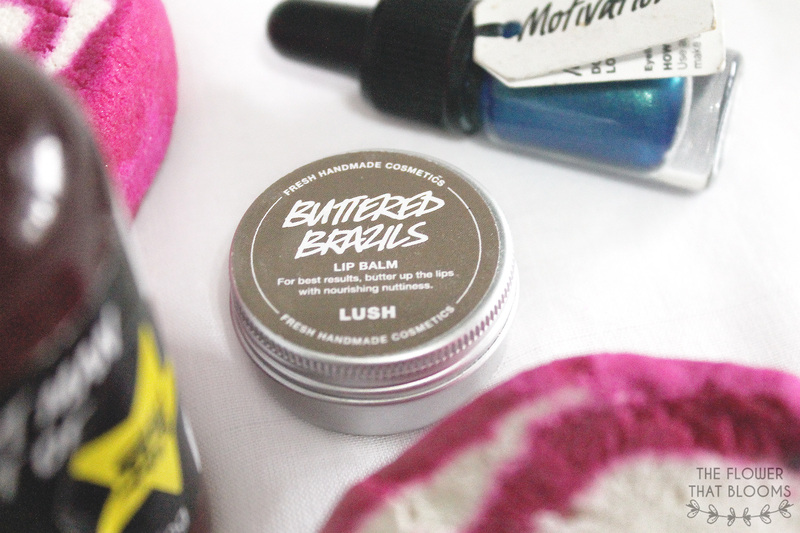 This lip scrub smells really sweet like cupcakes with a hint of lemon. When comparing this to the Santa’s lip scrub (from the 2015 Christmas range), this scrub has looser granules of sugar and is similar in consistency to the Bubblegum Lip Scrub. We have to say, we aren’t 100% sure on how it tastes. It contains sea salt which gives it a bit of a salty taste, almost like salty cupcakes? However, after using it a few times you get used to it and it doesn’t taste too bad after a while. While we aren’t huge fans of the taste, the smell makes up for it! Lover Lamp has to be a firm favourite for us! The guys in our local store gave us a demo and we fell a little in love. The smell is strangely amazing, the water is silky soft and there are little cocoa butter hearts inside. Normally we aren’t too fussed for white bath bombs but this one is definitely worth the £3.95. We both have different ideas on what this bath bomb smells like, but Lush state that it is made with fair trade vanilla absolute and brazillian orange oil. To us it smells a bit like some sort of cough sweet/medicine but this isn’t a bad thing, we can’t get enough of this scent. You need to smell it for yourself! Another favourite of ours is Prince Charming! We couldn’t smell it very well in the store but the colour and ingredients sold it to us. When we got home we realised how amazing it smells. Again this has an odd smell that is so hard to describe but the first scents that hit us are berries, chocolate, marshmallows, vanilla and a hint of chocolate orange (this may be just us though)! It’s an odd mix of scents but again this is a product you need to try for yourself! I’ve been wanting to try one of Lush’s coloured eyeliners for a long time now. Since this one was in the sale for half the price I knew I’d regret it if I didn’t try it out! It’s a beautiful teal colour and I can’t wait for an occasion where I can wear it out! I also recently picked up another half price eyeliner in the blue shade ‘Control’. If I like them I’ll consider spending the full price on another colour, I’ve got my eyes on the purple shade ‘Feeling Secure’! . Normally this is something I’d never go for BUT it was in the sale so I managed to pick it up half price. It has a really strange smell but the more I smell it the more I like it! I wouldn’t say it’s an overpowering lavender scent but perhaps that’s because of the other ingredients inside. There is also ylang ylang absolute, jasmine absolute and rose absolute inside. I can’t really compare it to any other product so when you’re next in Lush give it a smell! I thought because it’s such a soothing scent this will be great to use before bed. The reason I originally picked this lip balm up was because I thought it was in the sale section. It was only when I checked my recipt later that day that I realised it was full price. Nevertheless I’m so happy I purchased Buttered Brazils! At one point it was in the Lush kitchen and Rachel and myself were debating about buying it so I’m pleased to say I finally own it! I love the scent of this lip balm, it’s quite chocolatey and it leaves my lips feeling really soft! I do feel that it is a little pricey for a lip balm but it’s a lovely product and I’m sure it’ll last me a long time. The guys in our local store are absolutely lovely and so so helpful. 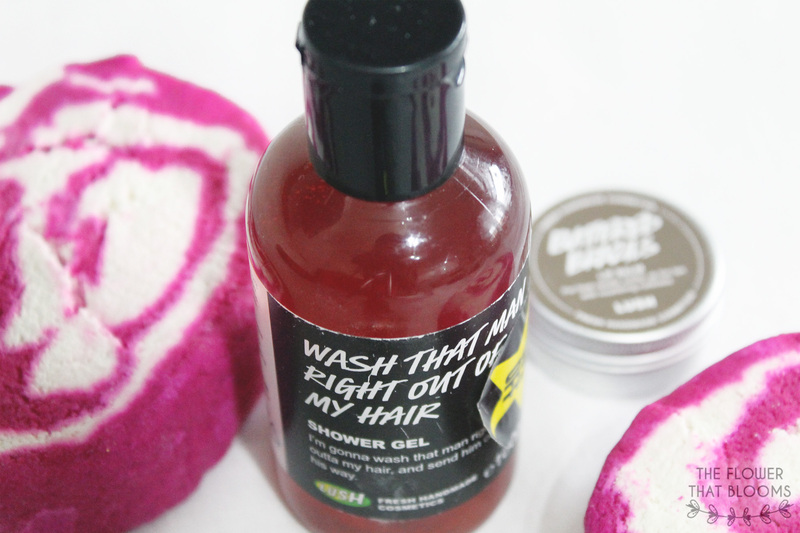 Whenever we go in, we end up chatting for ages and getting excited over all the products! They were kind enough to gift us both a bath item of our choice. This was a tough decision but you really can’t go wrong with The Comforter can you? If you’ve never tried it before this is one item you NEED to have! It’s berry goodness and turns the water an amazingly beautiful colour, the price is great too at just £4.95 and if you cut it up you can get loads of baths out of it. Thank you again to the guys at Lush Lakeside for always being so fab! 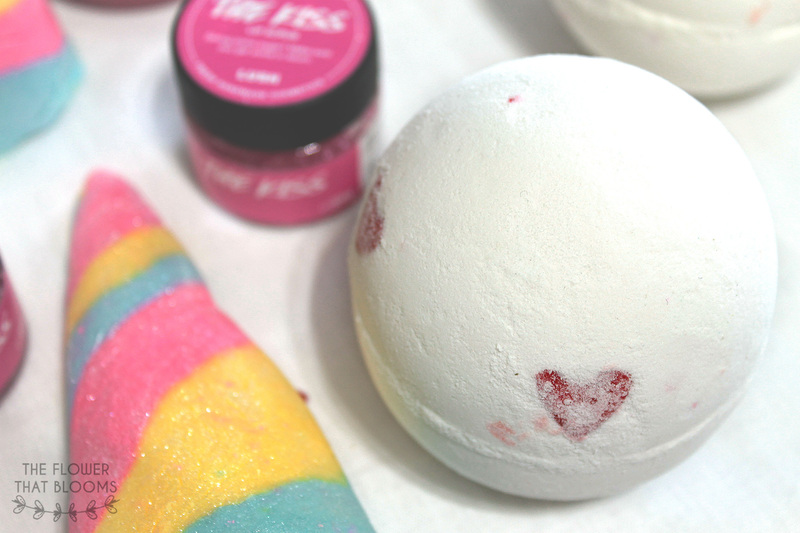 Have you bought any items from the Lush Valentines range or are you a little disappointed? We’re really looking forward to the Mothers Day/ Easter range to launch now! 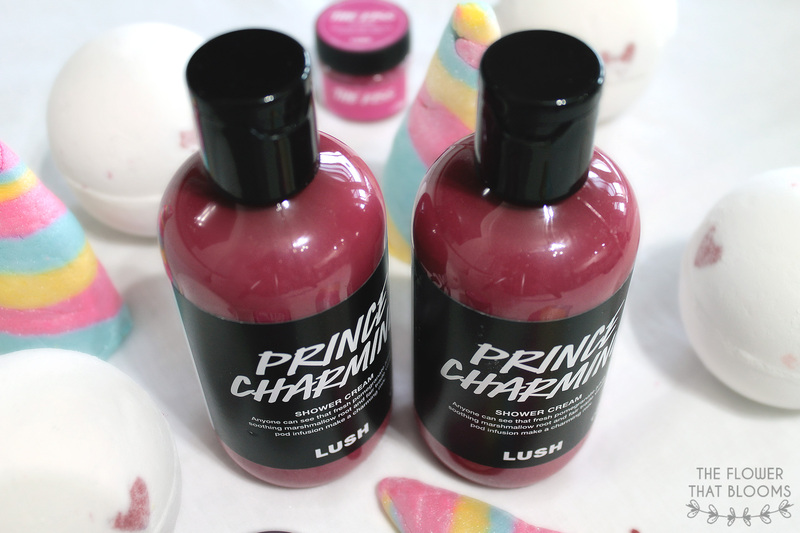 I have to get Prince Charming again it’s a lovely shower gel and I want to try a few other shower products from Lush too. Love the haul girls 🙂 You’re making me want to do one too! I love Lush products a little bit too much, seeing a new lip scrub makes me happy I have been through too many pots of Mint Julips but I will continue to buy more! This Kiss sounds absolutely divine! I have wanted to try their eyeliners for a while so I look forward to reading what you think about it.